Buzzin'. The highlight of my visit to Plymouth and no doubt, one of the best highlights of the year - my first Red Mullet on an artificial. Like anyone interested in fish species, you dream of these things for hours upon hours, analysing where and how you might increase your chances of catching the elusive creature. In this case, my experience of catching Red Mullet was limited to a few freak occurrences when bait fishing in the hottest months of the year. Unfortunately none of which were ever possible to replicate on LRF tackle. And then an opportunity hits you when you least expect it. 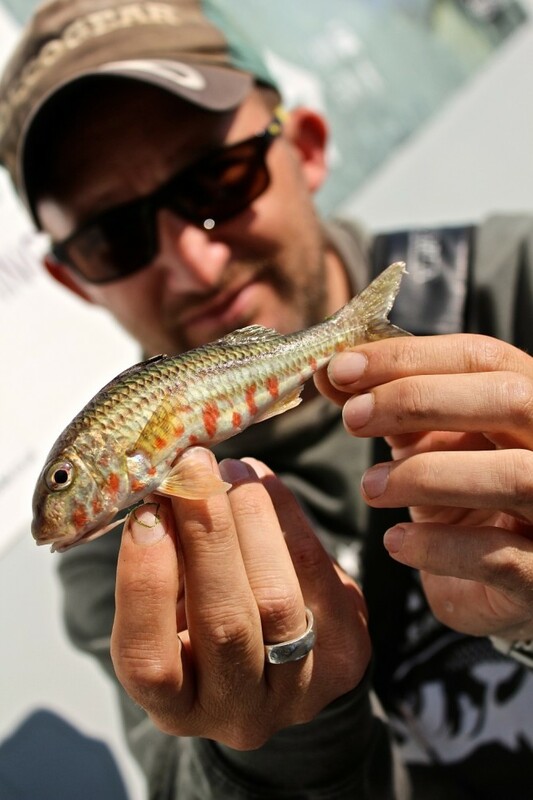 At the 'weigh-in' of the Plymouth BLAC qualifier we were all recalling the interesting events of the day - as you do - and Danny Parkins (who I shall now refer to as Eagle-eyed Parkins) eagerly reported on seeing a shoal of Red Mullet at one of the popular marks. Danny was entirely aware of the importance of this find, but was a real gentleman and went as far to show us exactly where he had seen them. Danny, sir, I will never forget that generosity. Owe you man. Despite not seeing them, due to leaving my Polaroids in the car, this wasn't an opportunity to be missed. And a little later on, there we were, trying to work out where the Red Mullet were feeding. It wasn't easy. Even with the sunnies on, you'd only get a glimpse of one or two every 20 minutes or so, but that was enough to keep the confidence up and consistently pepper the preferred area with casts. In hindsight, most similar to fishing for Dragonet. Same approach. Small movement does have the desired effect. More aggressive than you might expect for a fish I had previous labelled as 'a grazer'. And when you hook one, be ready, they go mental! I lost the first one because I wasn't ready for the nitrous-fueled sprint that followed the hook-set! And then it happened. I hooked one on the split shot rig and it stayed on. I was walking around in a daze with this super-colourful fish in my hand, like it was a dream. Thanks to Dan for the ace photo for posterity. Thank you Plymouth for being mega. Thank you Danny Parkins - LEGEND. That’s cool, Well done Adam.